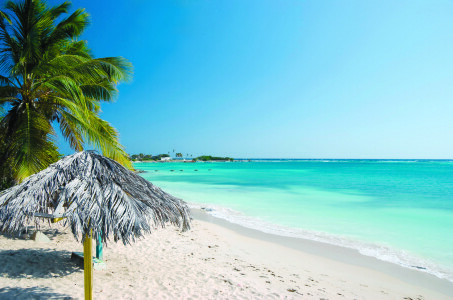 Best Beaches We already know that the Caribbean hosts some of the most beautiful beaches in the world however it is always nice to have a little reminder and an award here or there. Aruba’s Eagle beach was an award winner this year as Trip Advisor Traveler’s Choice named it one of the top 25 best beaches in the world. Why you ask? Why not! Beautiful white sand and turquoise water rich with marine life are what drew over 1 million visitors to the island last year. 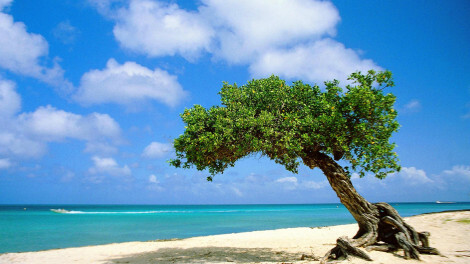 http://bit.ly/1c6j7Qe We are fortunate to work and promote such lovely award winning beaches. Oranjested – Maoreen, who has been in the destination management business since the age of fourteen when she assisted her Wichita Villacres, President & CEO at Eco Destination Management Services of ARUBA NV, has grown through the company ranks, going from Operations Assistant, to Account Manager, then Sales Manager, then Director of Operations. 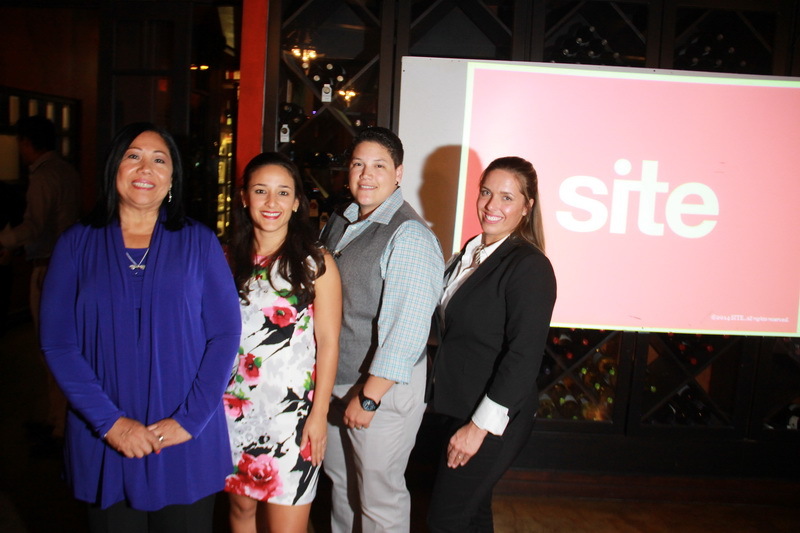 She assumed the role of Chief Operating Officer, last year and as such just graduated the SITE International CIS certification, together with other travel professionals from around the globe. The CIS workshop had just concluded in Las Vegas, Nevada, and Maoreen is pictured here with the program trainers who presented her with her certificate of graduation, Dana Weaver, Growmark and Jim Skiba, World Incentive Nexus. Maoreen reports that the workshop delivered a broad comprehension of the incentive travel industry, and that the CIS certification was an excellent stepping stone, as she takes the level of service to this specialized segment of the meetings and events industry to a higher level of professionalism. Designed for SITE members, it was an excellent source of knowledge, expertise, and personal networking, she concludes. We are excited to announce that our very own, Kelsey Gernert was awarded the David Riddell scholarship this year from the Society for Incentive Travel Excellence. 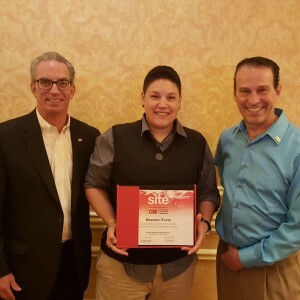 ECO DMS is proud to have been a member of SITE for more than 25 years. Our president Wichita Villacres has been a long time board member of the SITE Florida and Caribbean chapter and was formerly the chapter president. Currently both Wichita and our Chief Operating Officer, Maoreen Every serve on the board of directors for the SITE Florida and Caribbean chapter. This scholarship is offered to one recipient annually through the SITE Global scholarship committee. Participants must be recommended by the president or board of their local SITE chapter. 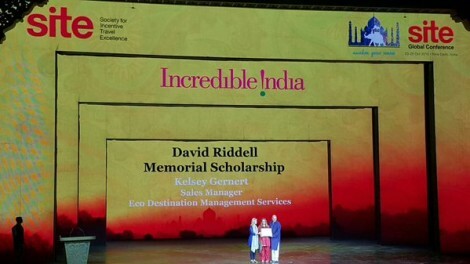 The scholarship honors SITE past president, David Riddell, who was forever a promoter of SITE as well as the value of performance improvement. A visionary, he worked tirelessly to mold SITE into the leading global authority that it is today. The purpose of the scholarship is to provide an opportunity for worthy individuals to participate in SITE educational programs to ensure the future growth of SITE as he envisioned. Kelsey Gernert graduated from the University of Wisconsin Madison with a degree in Sociology before going on to Harvard and most recently Simmons College where she is now completing her Master’s in Business Administration. 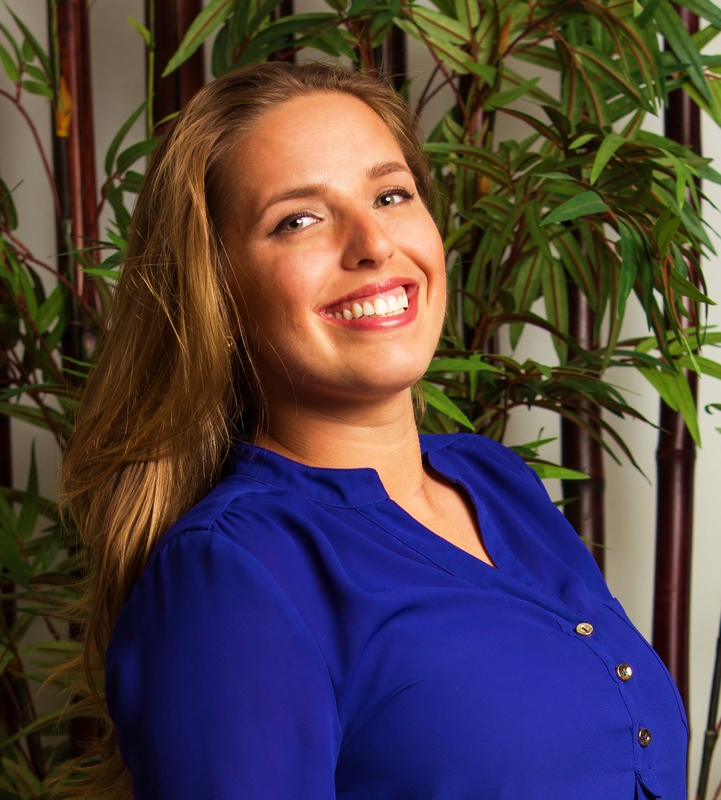 An avid traveler, Kelsey has a deep passion for the incentive travel industry and sharing authentic and exception experiences with her guests. 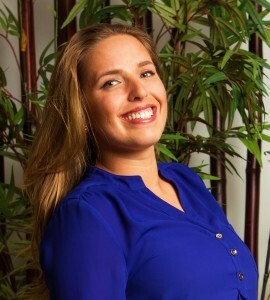 Ms. Gernert pursues her passion for the industry through her work at ECO Destination Management Services of Aruba and Curacao where she works in the sales department along with managing special projects such as ECO’s digital marketing campaign. Kelsey contributes to SITE and her local chapter through her role as one of the founders and Marketing and Communications Coordinator for the Site Florida and Caribbean Young Leaders Chapter. She is honored to be this year’s recipient of the David Riddell Scholarship and looks forward to pursuing further education within SITE. Kelsey and Eco DMS were proud to see her accept her award at the SITE’s Global Conference in India. Here at Eco DMS we are so excited to see what 2016 has in store. We recently moved into a new office and now have a state of the art showroom space to deliver the highest quality site inspection experience for our clients so you can see, touch, and experience the décor and event inventory we have to offer in the setting as we imagine it. We have expanded our sales and operations team in order to keep up with the growing demand for our services and to enable us to continue to deliver exceptional service. Along with this we have expanded our warehouse and added even more event options, as we now own the largest event décor and inventory in Aruba or Curacao. We have expanded our production department and have been crafting some phenomenal one of a kind pieces for our memorable events. In addition to all of the physical enhancements to our space we are also launching a new and revitalized website that is better targeted to the visual and informational needs of our current and prospective clients. All of the other exciting, upcoming changes you will just have to wait to see! We at Felix Event Management offer all kind of team buildings, starting from a regular city treasure hunt to a murder case but we guess the most adrenalin offer is with our special vehicles. What happened to the Da Vinci painting?!?! Help us to find it! The peaceful life in thw city of Krakow is suddenly stopped, city is shocked by the news – the Picture was stolen!!!! Leonardo da Vinci’s “Lady with an Ermine”, the most precious and important object in the Polish collection of art, undoubtedly one of the most valuable paintings in whole Europe has disappeared!!! From the newspaper found in their rooms guests find out what happened and that anyone who might help is mostly needed. No one can stay indifferent to this appeal – guests form groups which specialize in solving different enigmas. Armed with detailed information and all instructions, iPads equipped with maps and clues, groups set off into the city. Strolling the streets of Old Town of Krakow, participants have the opportunity to familiarize themselves with the most beautiful sights of the city, keeping in mind that the goal is one – to get as soon as possible the data about robbery and find missing painting. Equally, the agents have to do their best not to betray their real identity. Time is pivotal. 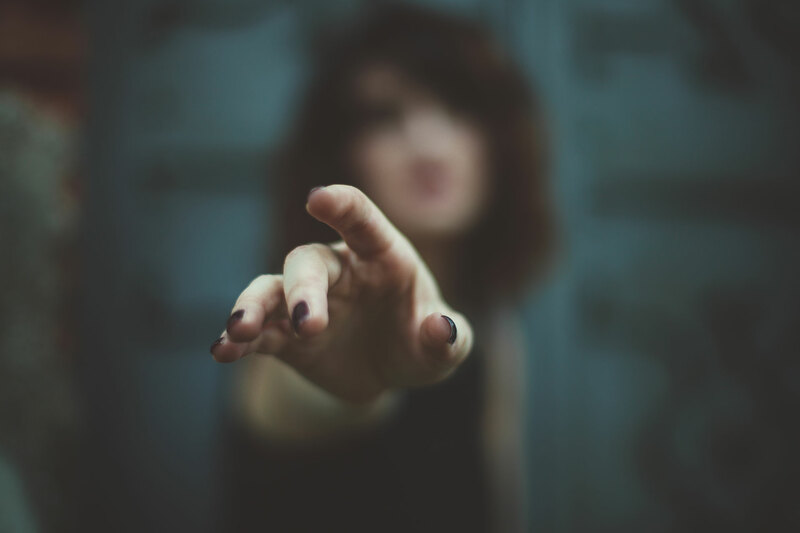 The faster groups trace the thieves and get the painting back, the better.In order to win, the group has to solve the task set, but has to split into smaller team and thank to this their chances of remaining unrecognized will increase and help to fulfill the mission. Satisfaction from finding the painting is a wonderful award and a capstone of the long quest. We are happy to announce that Kazakhstan Events DMC is an official partner in organization of Tourist Routes for EXPO-2017 Astana. From June 10 to September 10 of 2017 the international specialized EXPO-2017 exhibition on the subject «Energy of the Future» will be held in the capital of Kazakhstan – Astana. The Exhibition will be held over a period of 3 months. 100 countries and around 10 international organizations are expected to participate. Over 5 million visitors can visit it. The key theme of the international exhibition in Astana will be «Energy of the Future». It echoes one of the most significant and globally important issues of today, a concern for the whole world: the sustainable use of energy resources. 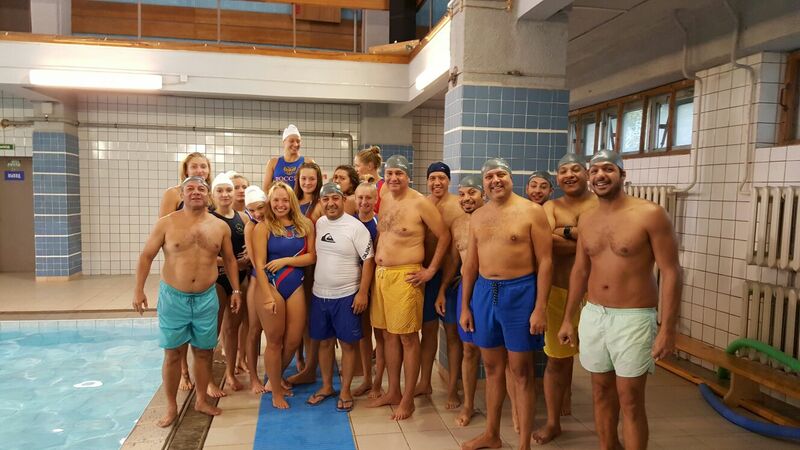 In September 2015 Escape Travel – DMC Russia made very special arrangements for a friendly water polo match between SAMSUNG, Egypt and Russian women professional water polo team “Diana”. 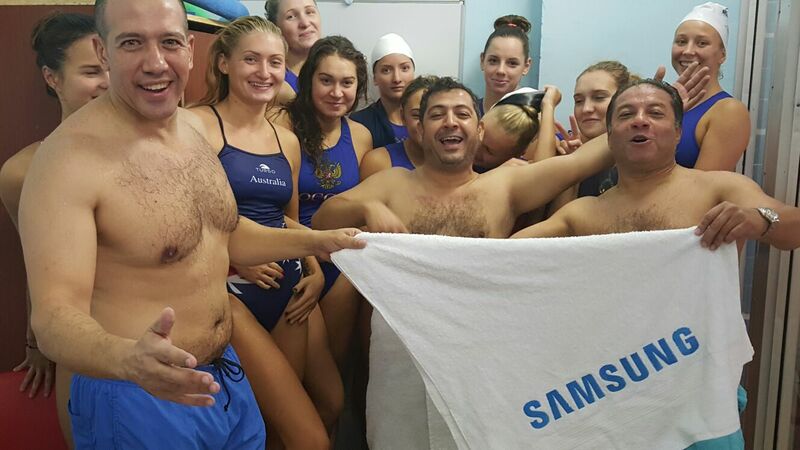 With the great help of the coach, Escape Travel rep and some bribe Samsung won 89:73! 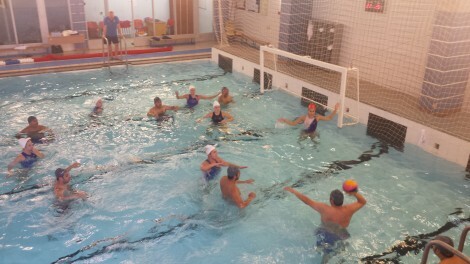 Explain to the clients basic rules of water polo beforehand and make sure they can swim. Don’t dispute your client’s ability to handle and pass the ball. Exclude some “not-so-important” rules as throws by one hand only and do not ban holding the ball under water to keep them safe and help them survive. Allow your clients to stand, walk or jump off the bottom to help them overcome the pros. Make sure your guests play in the shallow part of the swimming pool to prevent drowning. Make sure your client’s goal is small enough and pros goal is large. The size of your goal ideally should accommodate only head and shoulders of the goalkeeper. Explain to the pros that your clients want fun, not sport to avoid black eyes or other physical abuse. Different and unique Team Building in Vienna: Why not use the historical background of Vienna and teach guests the Viennese lifestyle during an entertaining team building! Following the slogan “the congress dances” you will be thought how to dance Viennese Waltz and all the etiquette around it! Do you know how to ask your lady if she wants to dance? How will she answer, how will you walk her to the dancefloor… all this and much more will be explained in a leisure atmosphere – at the end everybody wants to dance! With Imperial Connection – your Viennese MICE partner you can experience a morning full of entertainment, getting to know each other and learn about Vienna and it’s history! Obviously we would arrange this activity in one of the elegant Palais in downtown Vienna, but we’re flexible to organise Viennese Lifestyle Teambuilding whereever needed – basically we just need a dancefloor! This memorable event can be done for 2 up to 100 guests at once (we’ve done team building vienna for 250 guests already, but groups would need to be split and we take care of all the logistical background! Or professional dance masters can teach you in most languages and the duration of the event can vary from 2 – 4hrs! Team Building Vienna would be pimped with differently coloured and branded shirts for everybody or flowers for the ladies and tissues for gents, with a glass of champagne and delicious canapes or pralines in the break and in the end sure everybody gets an official certificate to proof that you’re taught on dancing the Viennese Waltz. 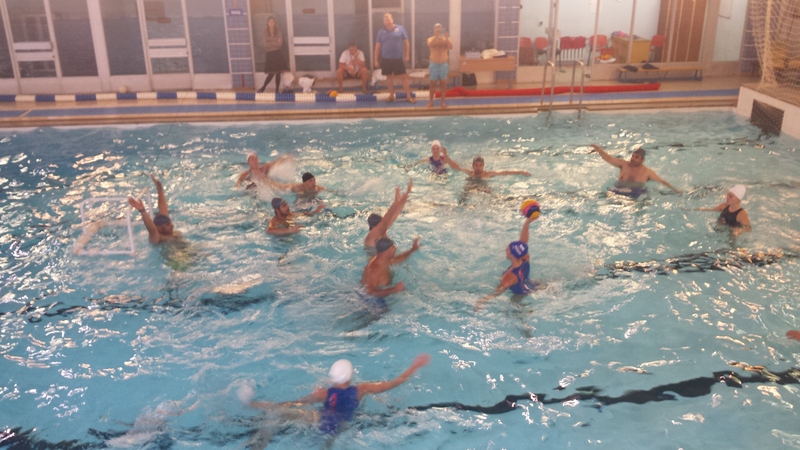 As award for winning team we have several ideas – from a “Dancing-Oscar” to a bottle of champagne and much more! For more information, please contact me at johanna@imperial-connection.at – I’ll be happy to work with you on your specific dance-teambuilding in Vienna!